Sarah offers Reiki Level 1 + 2 trainings at Firebird Healing Arts in Greenpoint, Brooklyn. Reiki education is generally broken up into 3 or 4 segments, which can vary greatly depending on the teacher who is leading the trainings. Sarah offers day long intensives for levels 1 + 2, and requires all students to take a minimum of 21 days between each training, in order to fully incorporate and adjust to the powerful energy being brought into your life! This day-long intensive is an introduction to the powerful method of natural energy healing known as Reiki! During this training you will become attuned to this blissful energy, receive your first level certification, and begin your own journey of self-healing! Part group healing ceremony, part informative class, you will leave this course with everything you need to begin to practice Reiki on yourself, and friends and family. 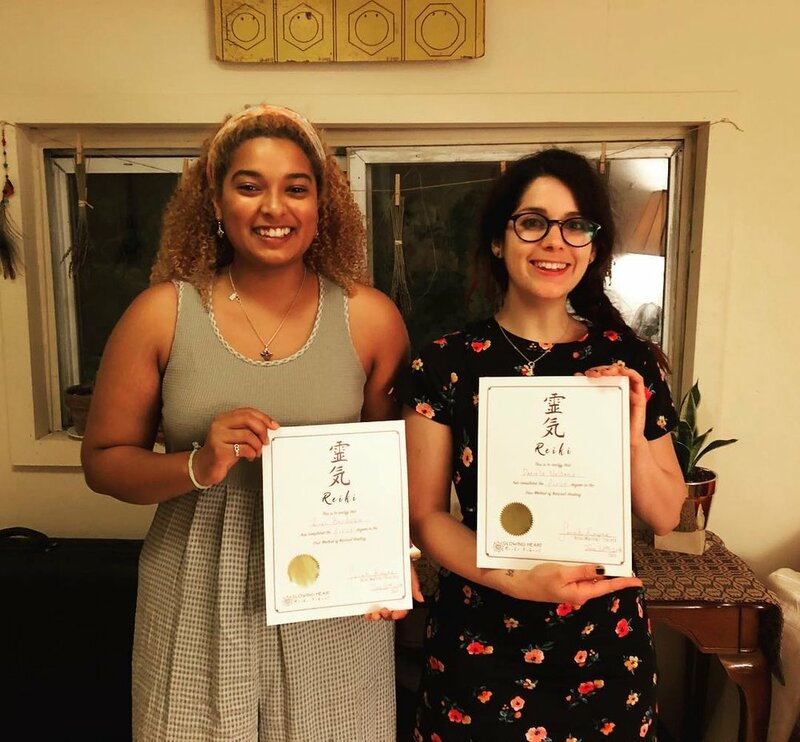 Reiki Level 2 is perfect for those who have completed their Level 1 training, and are ready to dive deeper into this energy. During this day-long course, you will learn advanced techniques, receive professional advice for launching your own Reiki business, and learn the secret Reiki symbols, which will empower you to heal yourself and others across space and time, and lots more! Happy Reiki Level 1 Students!